Matt Harvey, Who Increasingly Does Not Appear To Be A Starting Pitcher: "I'm A Starting Pitcher"
Matt Harvey went six innings tonight for the first time since last May; ideally, that should be reason for optimism, or, at least, it could be, if you had space to process anything beyond the rather depressing fact that this marker can be considered a real breakthrough in the first place. But six innings does not have to mean six good innings, and the Mets’ 12-4 loss to the Braves tonight didn’t offer the latter. There were a few loosely good-ish innings, sure, but those only came after Harvey allowed six runs off seven hits in the first three frames. 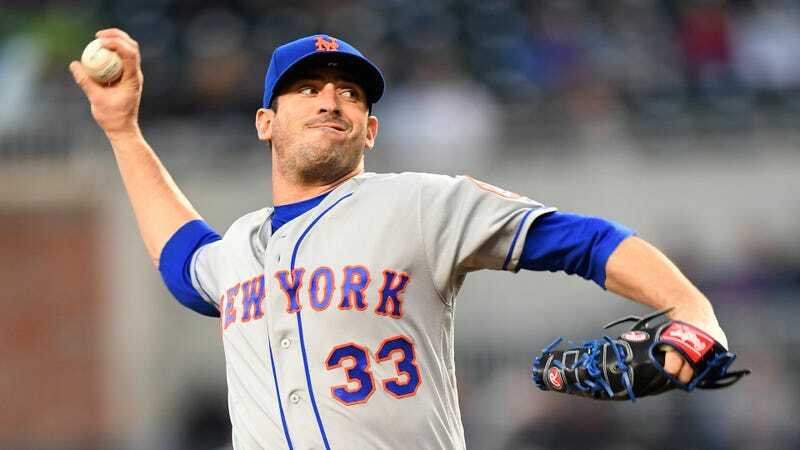 He’s now given up 14 earned runs through a collective 16 innings of work in his last three outings, and after tonight, manager Mickey Callaway said that he couldn’t commit to scheduling another start for Harvey. This year’s mess, of course, is just an extension of what has now been full years of a larger and more textured mess: a struggle with thoracic outlet syndrome, disappearing velocity and command, and some confusing decision-making by the team about managing him along the way. When asked for a general reaction to Callaway’s comment, Harvey doubled down—“Like I said, I’m a starting pitcher”—and he declined to discuss the possibility of a demotion to the minors. Really, though: When nothing else is working, why not try just speaking desires into existence?